Tegelen (Netherlands) - Roland International has always been the pioneer in printing. Back in 1985 (!) 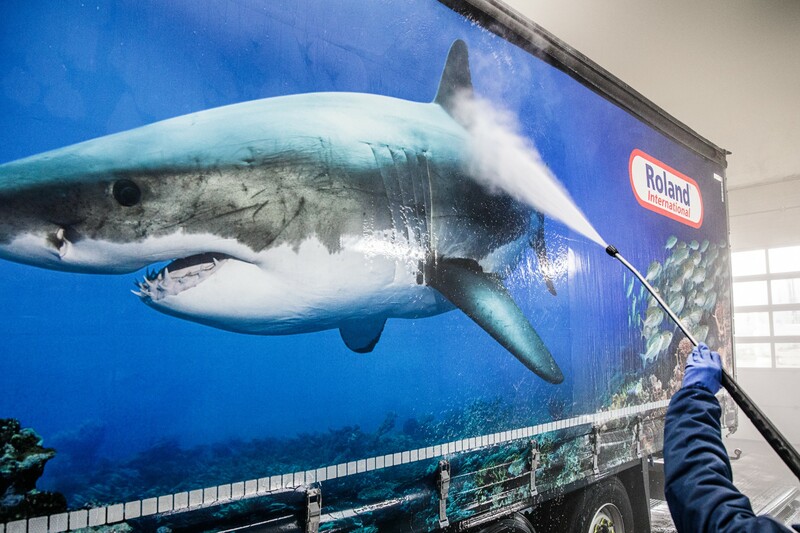 Roland was the first company in the industry to print on side curtains. Now in 2018 they revolutionise the side curtain market, again. Roland understands life on the road can be tough. That is why they have created a product that changes everything. 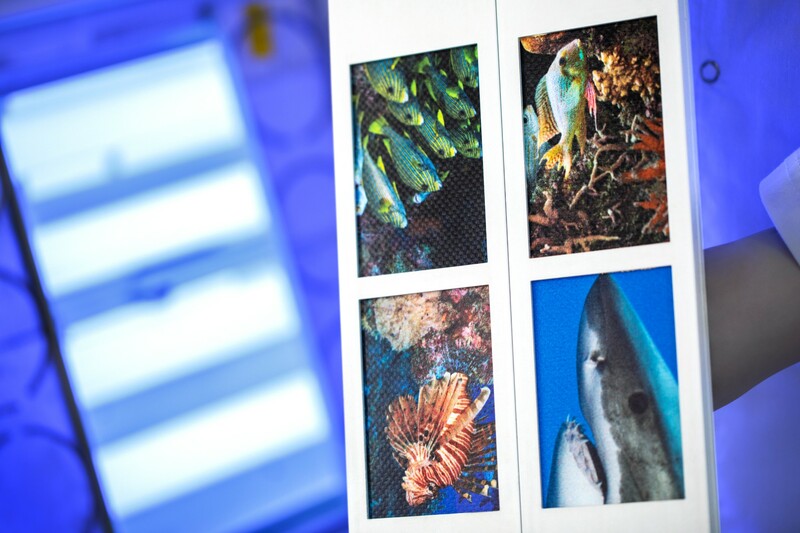 A product combining cutting-edge printing technologies and superior durability, under all conditions. 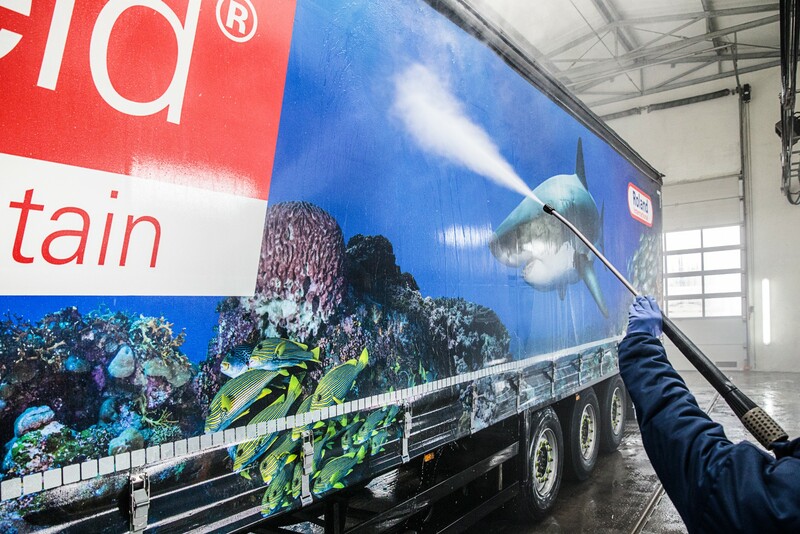 Roland proudly presents InfiniShield®. 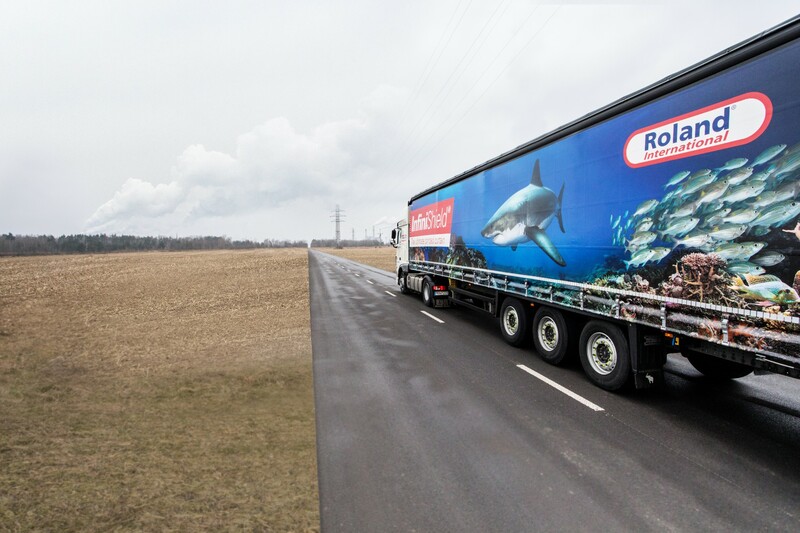 Roland has asked their customers throughout Europe (Bodybuilders and Transport Companies) what they find important about their side curtains. Their customers have told them that they want a curtain that is easy to maintain and that last for at least 5 years. The Product Managers of Roland got to work with this information and they came up with a product which fulfills these needs. 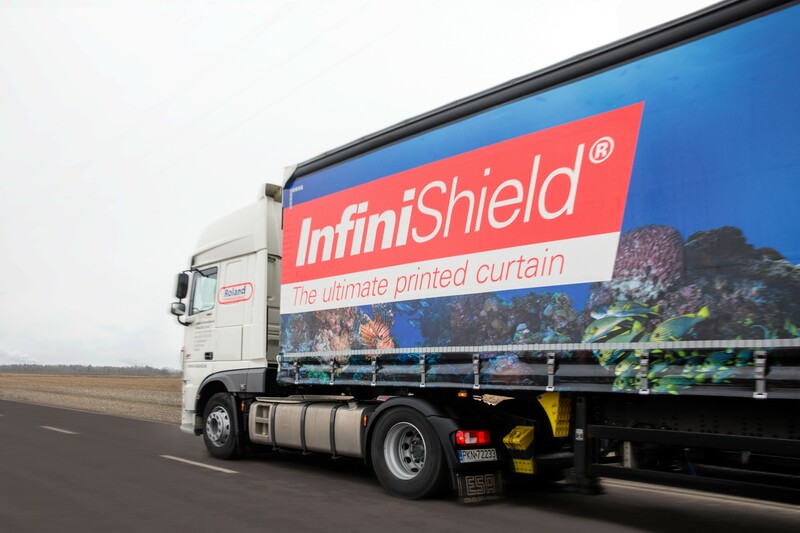 InfiniShield is a new Roland brand that brings together a full range of digital UV and Solvent printing technologies on PVC, with multiple protective coatings to provide the perfect printed side curtain solution for every trailer. Combined with their thorough understanding of color, composition, typography and design principles they create breathtaking full color prints. Together with the coatings, these curtains are dirt-repellent, easy to clean and up to 5 years warranty. 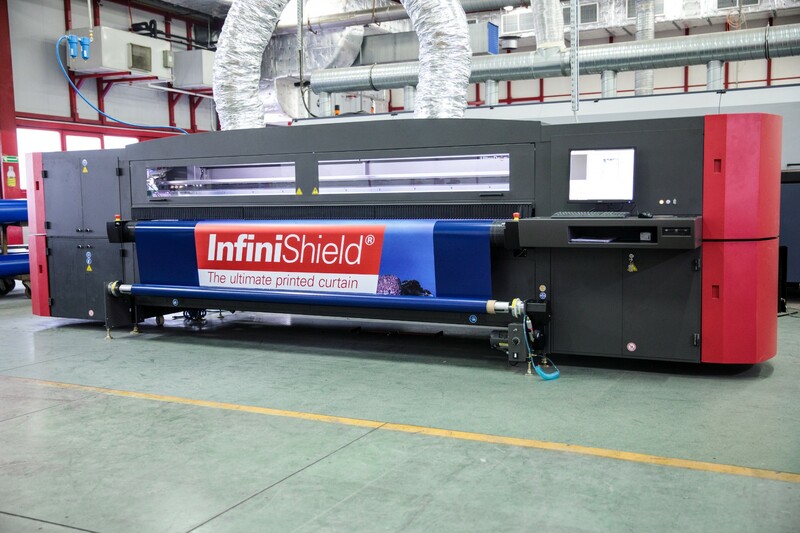 Would you like to know more about InfiniShield and the multiple levels of quality finishes? Go to www.infinishield.eu or contact your local Roland supplier.